You are at:Home»News In Focus»CAM»Could taking vitamins in huge doses produce a health miracle after all? For decades, some people have embraced the idea that there might be major health benefits from taking vitamins in quantities well beyond the recommended daily requirement. The concept was very popular for a while in the media, but research findings to the contrary gradually made it virtually untouchable for scientists. Yet it is now making a sort of comeback, thanks partly to new findings demonstrating that high doses of vitamin C can treat cancer. As we shall see, however, there are some important caveats here – as well as obstacles to unlocking different potential health benefits from other vitamin treatments. This is a cautionary tale of the dangers of black and white thinking, and how things are rarely as simple as they can be made to appear. It is about a hundred years since vitamins first came to prominence. Described in the early days as “vital-amines”, important for “vitality” (life), the public’s knowledge was originally based on solid science. But from the 1940s, the information became conflicted as food manufacturers and later the dietary supplements industry took over much of the education on nutrition. One example of this advice that has endured to the present day is the idea that we need to bolster our diets with extra vitamins and minerals. This has been phenomenally profitable for everyone in this business, from producers of breakfast cereals to vitamin pills. The dietary supplements sector was worth US$205 billion (£160 billion) last year and is predicted to rise to nearly US$280 billion by 2024. 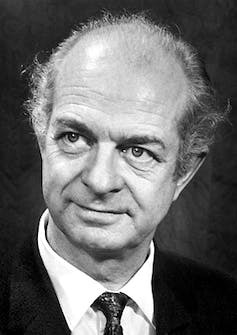 The idea of miraculous healing properties from taking vitamins in much larger quantities has long been part of this line of thinking – largely thanks to a leading American scientist named Linus Pauling. I have written previously in The Conversation about how Pauling, a double Nobel prize winner in chemistry and peace, became singularly committed in the 1960s and 1970s to the idea that megadoses of vitamin C could treat diseases from the common cold to cancer. Pauling pushed these claims through a combination of exaggeration and selecting only studies showing positive effects – with a helping hand from the manufacturers. The story is described very well here. Other scientists began debunking these claims as far back as the late 1970s, demonstrating not only that Pauling was wrong but also that taking oral vitamin or mineral supplements can often do more harm than good – including in the treatment of certain cancers. It soon reached the point that any idea of benefits from vitamin megadoses was considered dubious within the research community. Some of this was absolutely right, yet perhaps the backlash went too far. It overlooked some careful science that had hinted, in selected cases, that megadoses of vitamins may treat certain diseases after all. This is borne out by the new study I mentioned earlier, which has shown that taking high doses of vitamin C may help treat lung cancer and certain brain tumours. This follows on from previous work proposing to test the use of vitamin C in the treatment of ovarian cancer. The new findings come from research led by Dr Joshua Schoenfeld of the University of Iowa. The paper was published last month in the journal Cancer Cell, and showed that vitamin C does not fight cancer directly as a drug, but by rendering radiotherapy and certain chemotherapy treatments more effective. But where Pauling and his followers extolled supplements, Schoenfeld et al are proposing to directly infuse vitamin C into the patient’s bloodstream. It builds on previous findings that showed that tablets taken orally will not deliver enough vitamin C into the body to be effective. The research has completed a first phase that found the treatment improving survival prospects in mice, and that the vitamin C is safe and tolerable in patients having radio-chemotherapy. But to stress, if there is a successful final outcome to these trials, any treatment would never involve vitamin C pills from the local pharmacy. It would require a well controlled intravenous infusion. This research is an example of meticulous science dissecting vitamin fact from fiction. I am optimistic that new discoveries using megadoses will be made in the future. High doses of vitamin C may also be used to treat the pain from postherpetic neuralgia, a nerve-related condition linked to shingles; while preliminary results suggest it may also help treat blood poisoning (sepsis). Megadoses of other water-soluble vitamins have also been proposed, including administering vitamin B3 as a treatment for damaged nerve endings (peripheral neuropathies) after a promising study on rats. There is probably also undiscovered potential among the fat-soluble vitamins – A, D, E and K – but megadoses of them can be dangerous. Too much vitamin A can damage the liver, for instance; while too much vitamin D can cause everything from fatigue and tinnitus to heart arrhythmias from too much calcium in the blood. In such cases, the answer might be to design molecules that provide the equivalent of a hyperdose of vitamins but in a very targeted way to reduce the side effects. That is what I have been working on with colleagues at the universities of Aberdeen and Durham, as explained in the clip below. We are designing new compounds that activate only one part of the vitamin A response via the retinoic acid receptor, without triggering other receptors. It should be possible to achieve similar results for other vitamins with receptors, most obviously vitamin D.
In conclusion, it certainly looks as though the pendulum swung too far in the other direction in reaction to Pauling. Schoenfeld et al have shown how very precise and careful science can extract the benefits from vitamin supplementation. It’s certainly not a new argument for taking oral supplements, but it is worth watching this space to see what emerges next.